The Houston-based Texas LNG LLC (Texas LNG) is planning to replicate a mid-sized of the Norwegian Statoil Snohvit LNG concept to introduce in the US market a new business model to export liquefied natural gas (LNG) at low costs. In 2007, Statoil and its partners started the operations on the Snohvit LNG project. Located in harsh environment at the utmost north of the Norwegian coastline, this project was experiencing a number of innovative solutions in order to reduce the environmental footprint and the staff on board. Among the particularities of this project, Snohvit has been designed and built on a floating barge in a shipyard before being transported and permanently landed on the shore on a natural island in front of Hammerfest. To improve its efficiency and reduce its carbon dioxide emissions, Snohvit adopted the all electrical solution to drive the compressors of the LNG trains. For all these reasons, Texas LNG saw the opportunity to benchmark Snohvit design to propose a mid-sized version for a LNG export terminal project in the south of Texas. Instead of Snohvit 4.3 million tonnes per year (t/y), Texas LNG should run at 2 million t/y capacity. 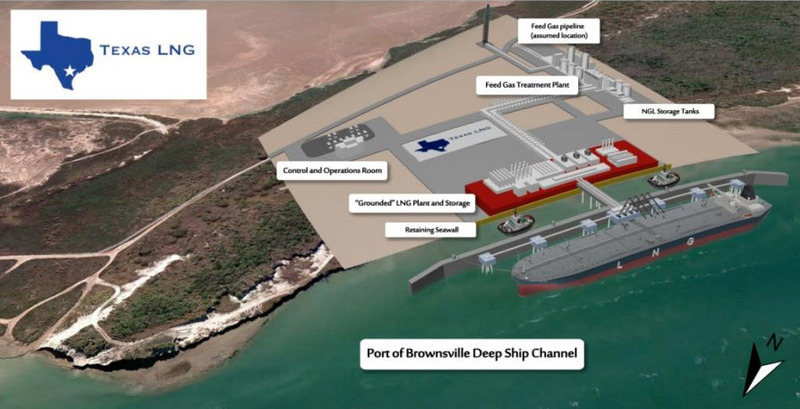 In December 2013, Texas LNG signed an agreement with the Port of Brownsville in Texas to lease 51 acre land along the deep water ship channel. 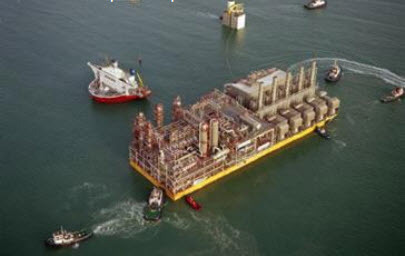 Built on a floating barge in a qualified shipyard, the Texas LNG plant should be then transported to its Brownsville site to be permanently landed. 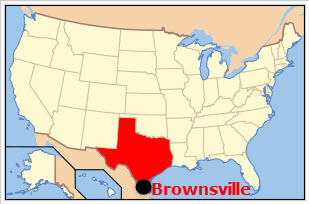 Brownsville is located in southern Texas , at the boarder between USA and Mexico. Texas LNG picked up this strategic position as it is in the same time at the shortest distance from the shale gas fields in the south of Texas such as Eagle Ford on the supply side and from the Panama Canal through which should be shipped most of the LNG production. Benefiting from its mid-size and the flexibility of its all electrical design, Texas LNG is introducing in the US market a tolling business model instead of the usual long term contracts for the gas supply as well as for the export. Processing LNG on a toll basis, Texas LNG is targeting the multitude of small producers of shale gas in the south of Texas. In January 2014, Texas LNG submitted its application to the US Department of Energy (DOE) to get the licence to export from its Brownsville LNG project to the free trade agreement (FTA) countries as well as the non-FTA countries by 2018.